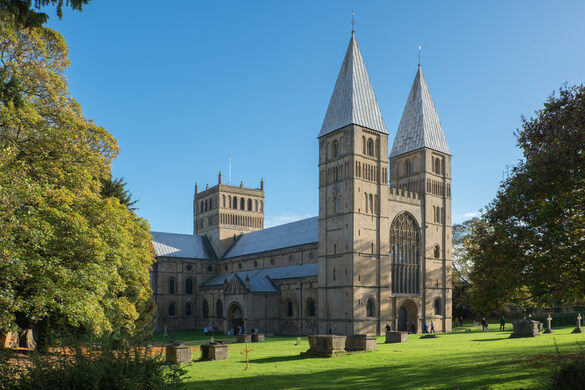 Tucked away in the elegant chapter-house of this graceful Norman cathedral, these threatened 800-year-old carvings are a medieval stone masterpiece. 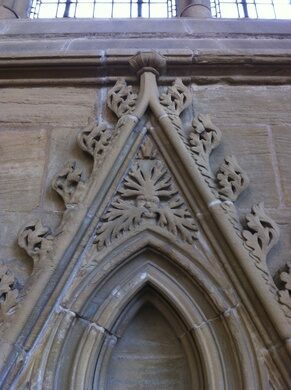 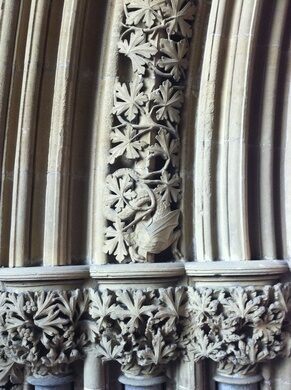 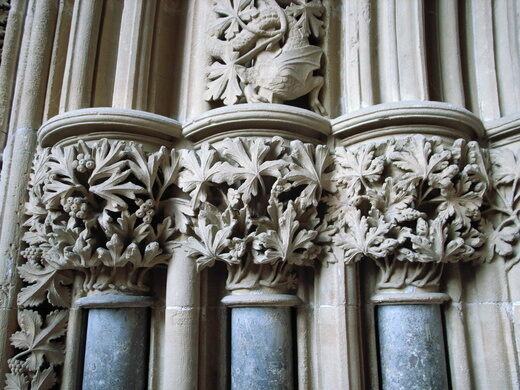 Look closely at the details, and you’ll spot both Christian and pagan symbols intertwined with finely carved foliage. 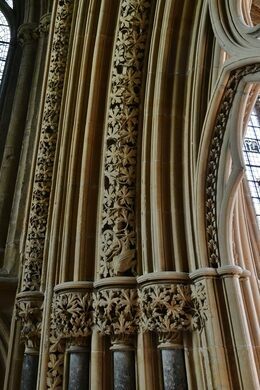 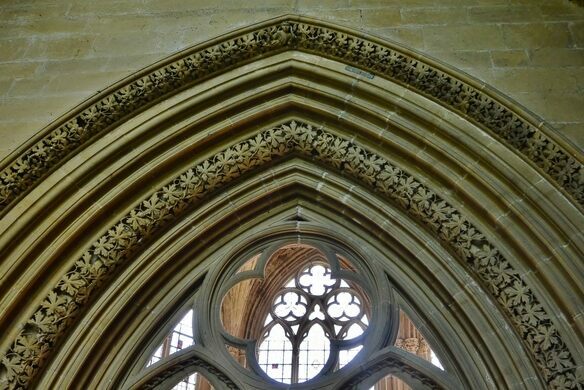 The internal decoration of one of England’s lesser-known cathedrals, which is situated on the edge of Sherwood Forest, reflects the mythology and environment of a lost woodland world that once thrived beyond the elegant structure’s iconic “pepperpot towers.” Intricately carved in local limestone, dainty foliage winds around the columns and arches of Southwell Minster’s delicate chapter house, which was built close to a possible Holy Well or spring around in the late 13th century (construction is believed to have begun in the 1280s or ’90s). 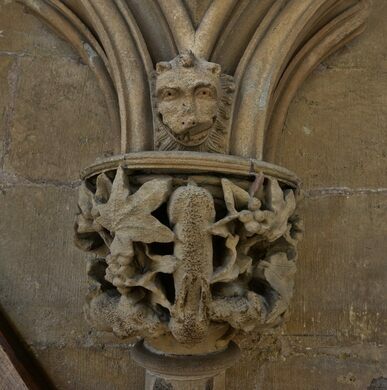 Peering out of the botanically accurate representations of woodland plant and tree species are the faces of numerous Green Men, a common symbol in European mythology thought to have origins as a pagan fertility symbol. 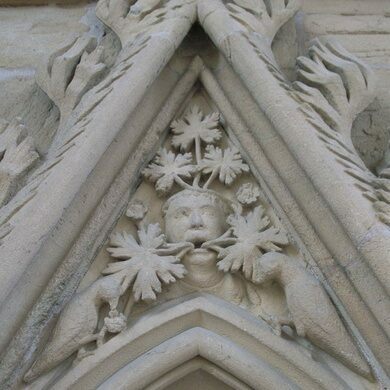 These iconic faces sprout foliage from their mouths, possibly to symbolize the rebirth and new growth associated with spring. 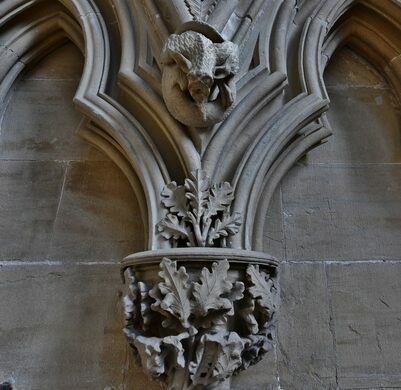 They are accompanied by human heads, forest beasts, and even a dragon or two. 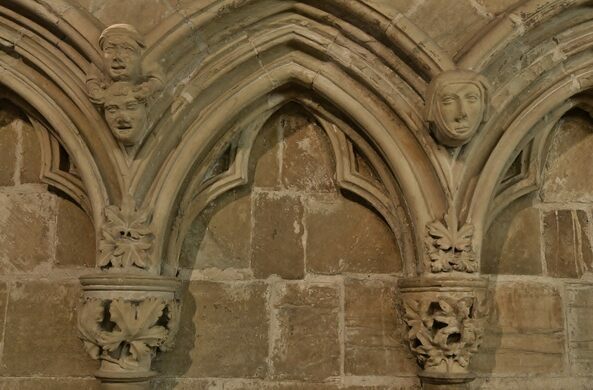 Considered to be the work of a highly skilled master stonemason, the breathtakingly lifelike carvings have been threatened by weathering, water damage, and eight centuries of fluctuating temperatures and humidity. 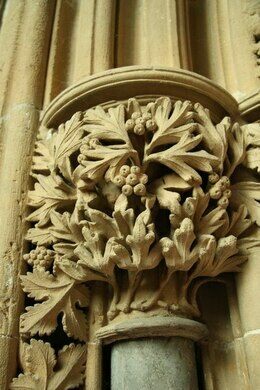 To help conserve the graceful carvings, a charity has been established with the aim of preserving them for future generations. 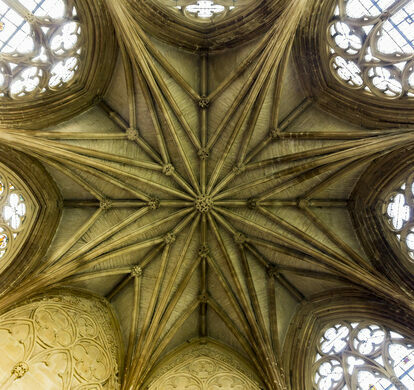 The Minster is free to enter, but visitors are requested to make a voluntary donation to the upkeep of the historic place of worship. 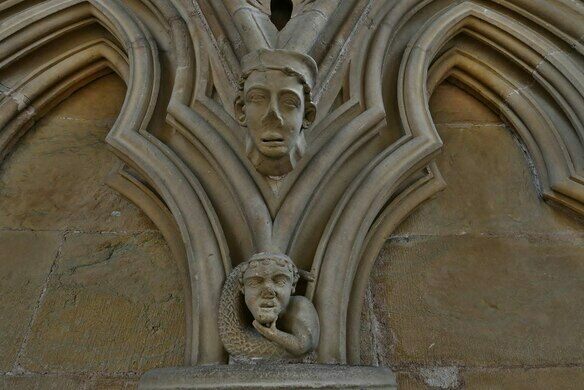 Numerous other impressive carvings exist in the cathedral, including a Saxon Tympanum, and a gargoyle which gained recent notoriety for its alleged resemblance to a US president.